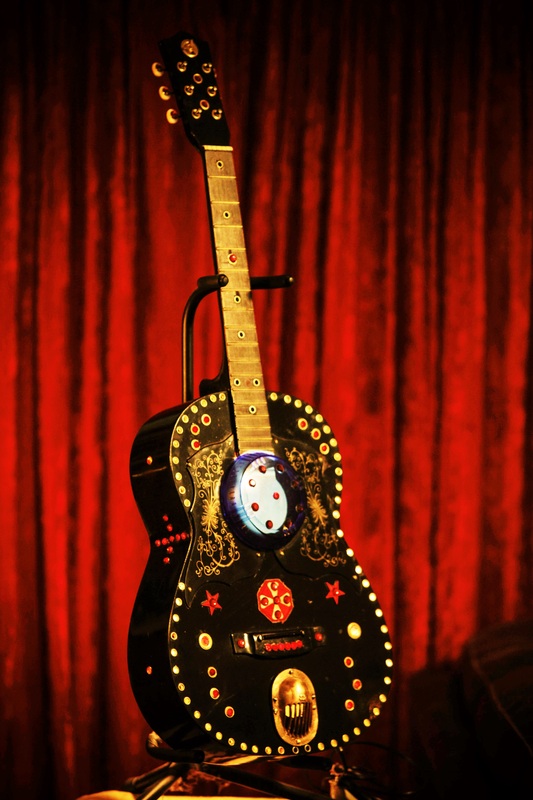 These are full size real guitars re-purposed into art pieces. All are fitted with a single light bulb in the interior.They are painted and assembled with a variety of gauges, grommets. rhinestones, and an assortment of other interesting objects that will enhance the piece. Prices range between $275 and $425 depending on the piece.